Hi Students and Investors! Finally up and running. We refinanced our first student! By taking a loan via our platform j.a. 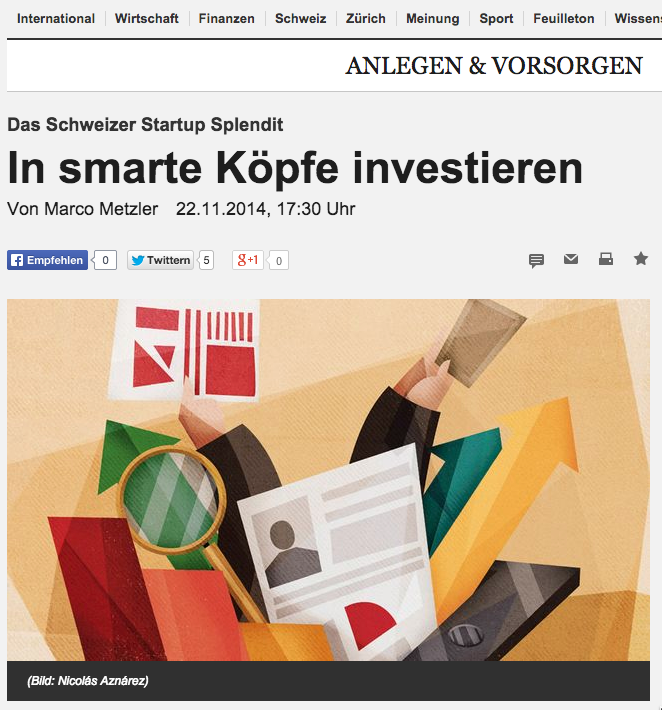 manages to save approx CHF4’000! By the same time Investors are now happy they’ve found a sensible way to invest their money. A big step for both J.A. and splend!t. Hallo splend!t users! Endlich ist es soweit, wir sind live! Wir haben auch schon unseren ersten Studenten finanziert. J.A. spart dank uns rund CHF4’000. Dabei spart er nicht nur Geld, sondern er ermöglicht es auch Investoren, ihr Geld nachhaltig anzulegen.